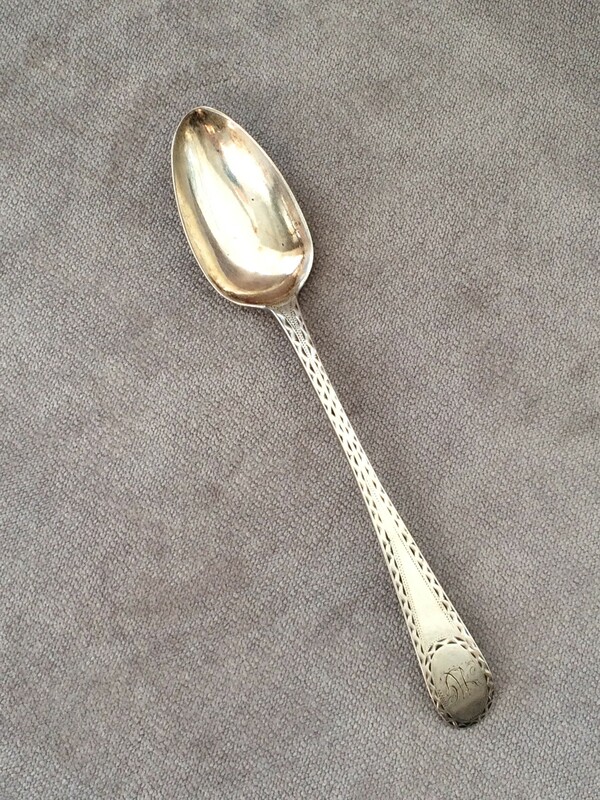 Genuine antique silver spoons are highly sought after collectibles. In this post, you can explore genuine and authentic antique silver spoons from the Colonial period. Lamb Silver has many silver antiques for sale, but these are a select few of our spoon collection. Spoons are the oldest type of flatware in all of history. From ancient peoples to modern day, all different types of spoons are used for many purposes other than for eating. Spoons can be decorative, used in religious ceremonies, and come in all shapes and sizes. 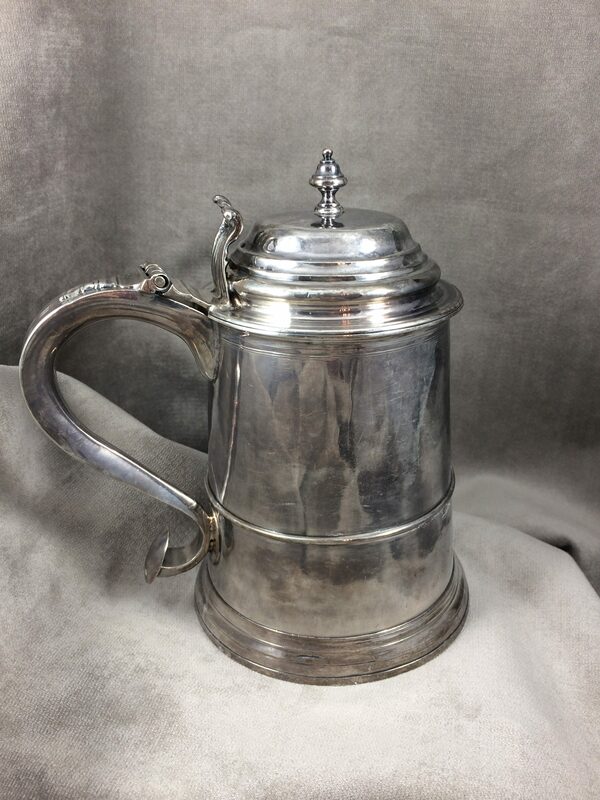 18th Century Antique Silver Teapoon by Joseph Richardson Jr. This teaspoon from 18th century Philadelphia has a very decorative handle along with a monogram on the end. 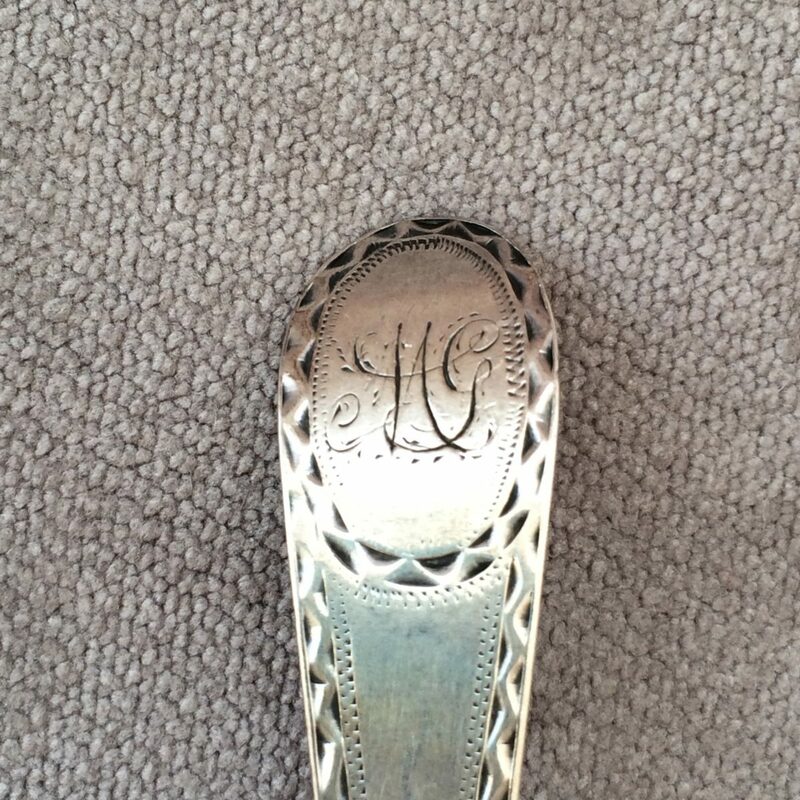 This monogramed detail probably is the initials of the family the spoons were made for. On the underside of the handle, you will find two hallmarks of Joseph Richardson. 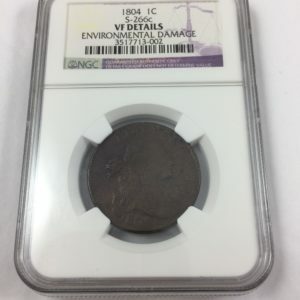 These show the antique’s authenticity and genuine craftsmanship. 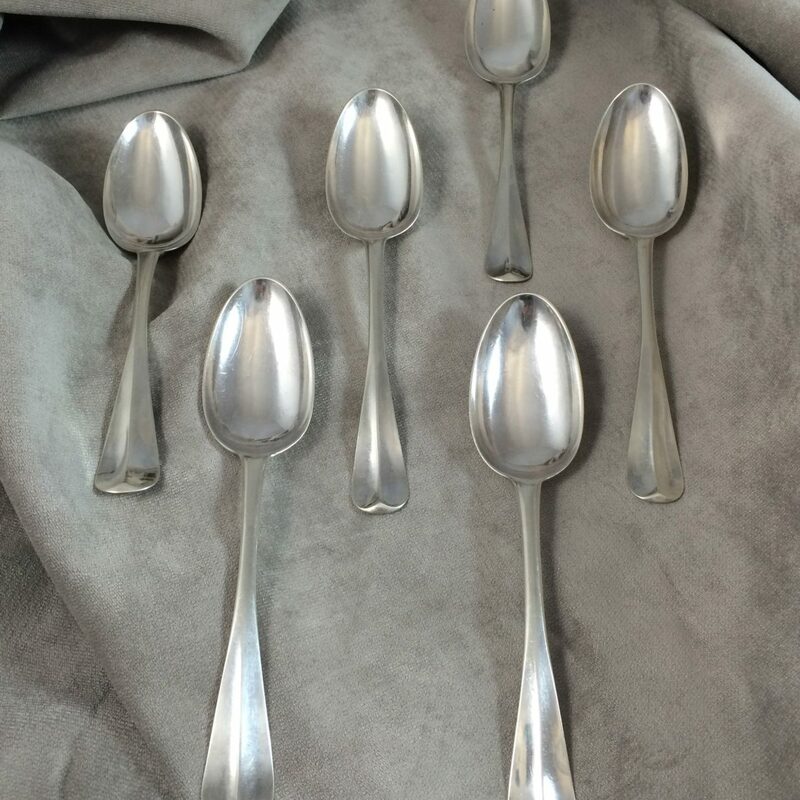 These spoons from Van Dyk of New York are a pristine set of 6. Van Dyk is considered to be one of the greatest of the New York silversmiths. Now you can own an authentic piece of American history with these genuine silver spoons. The handles are engraved “M&W” and have “PVD” engraved on the underside show authenticity and quality craftsmanship. 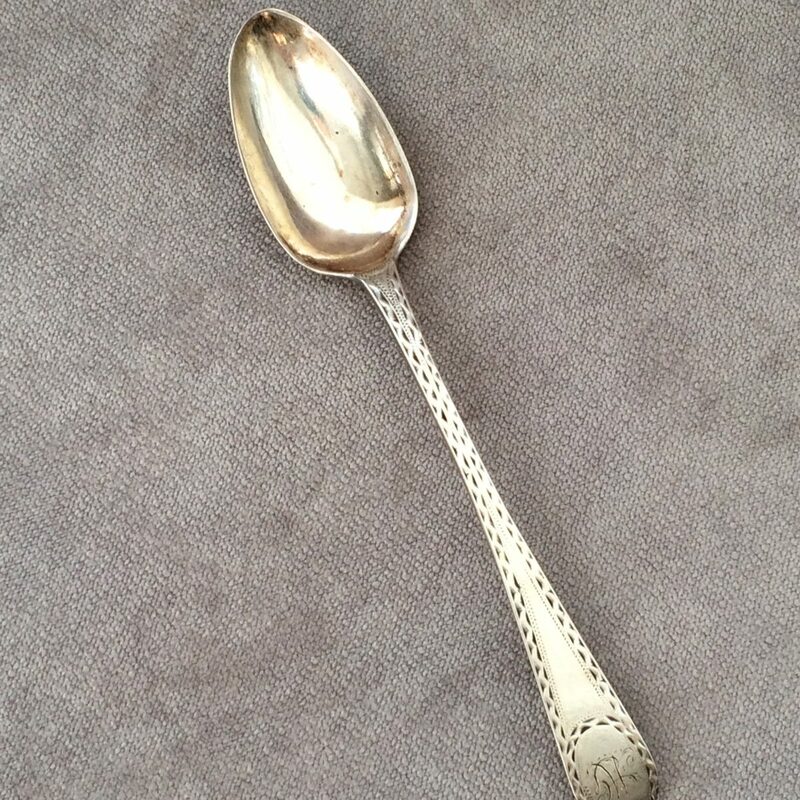 There are many of reasons why people collect antique silver spoons. 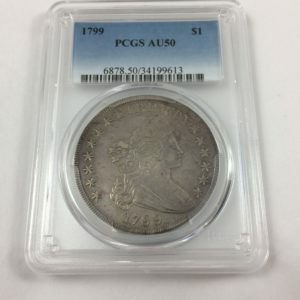 Whether you are an experienced collector that is collecting hallmarks or just have an appreciation of old things, Lamb Silver has an extensive collection of authentic antiques to fit your needs. Lamb Silver specializes in early American silver. 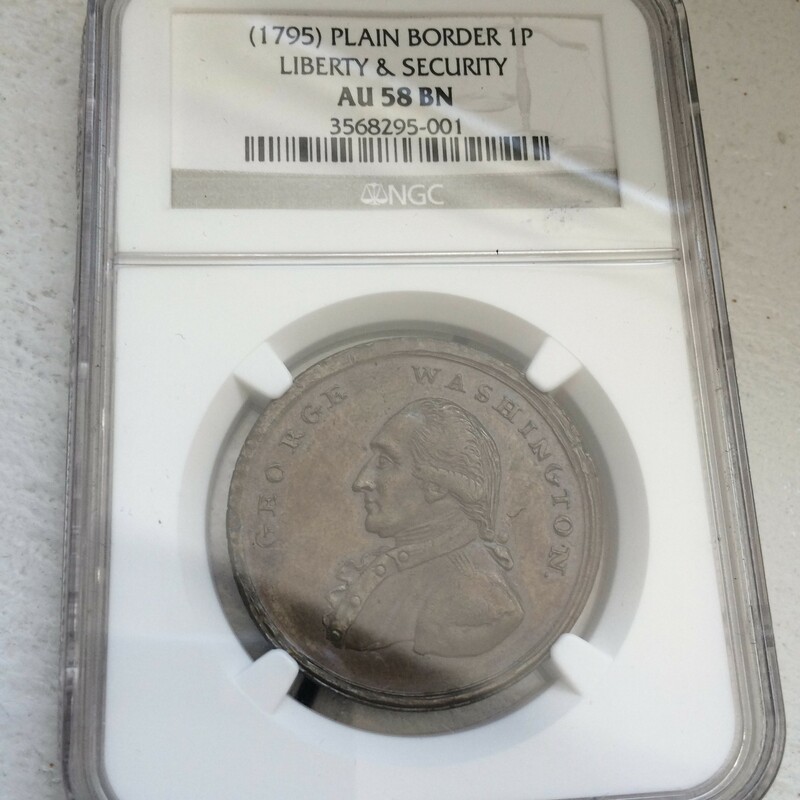 Therefore, our collection has some of the most brilliant and rare items from the American Colonial period.